A temporary fraud alert is a cautionary 90-day note that goes into your credit report. Specifically, the alert warns lenders and service providers to be extra vigilant to anyone seeking your credit file or information. 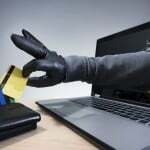 In such an instance, an identity thief may be trying to open a credit account in your name, extend your credit limit on an already existing account, or even attempt to acquire a new card. If this were to happen, the creditor should contact you to authenticate that it’s actually you making such requests. If not verified, the request should not be honored. 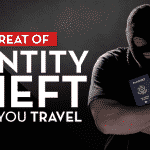 Identity theft happens when somebody obtains your personal information including your bank information, social security number, credit card information, and address among others and assumes your identity with the intent of committing a felony. Identity theft can happen to anybody and as a precautionary measure it’s advisable to set up a temporary fraud alert with the credit reporting agencies. TransUnion, Equifax, and Experian are the main agencies the United States who are the custodians of your credit history. When you set up a temporary fraud alert, it saves you the time and energy of contacting all credit-reporting agencies and, of course, your creditors. This is because once the alert is placed with one credit-reporting agency it’s automatically forwarded to all the necessary parties. Indeed, such an alert keeps your personal information safe when you think your credit has been tampered with or has the potential to be compromised. Additionally, your personal information doesn’t have to be lost or misplaced. In this regard, it’s advisable to set up a temporary fraud alert if you perceive or suspect your accounts have been compromised. Once you receive the statement of your credit report, you’ll be able to make a wise decision, especially if you’re not familiar with certain accounts. Can You Extend Your Fraud Alert? Yes you can, especially if you have established that your identity has been compromised. However, you will need to prove that you’ve actually been a victim of identity theft for an extended fraud alert. They last for seven years. A fraud alert only means that a warning memo is sent to your credit report for lenders to take safety measures before giving credit in your name. But in reality, creditors are not legally bound to do so. But if need be, you could pursue the matter further by applying for a credit freeze or a security freeze with each bureau or consider signing up for a credit monitoring service. A security freeze stops new credit accounts being opened while a credit monitoring service alerts you if anything that affects your credit information happens. However, be informed that enacting a security freeze can complicate matters if for instance if want to get utility service, some insurance policy, a cell phone plan. In such a situation, you’ll need to unfreeze your file (albeit temporarily) by giving the credit bureau your pin or any other access code. You pay a certain fee to have all that done. However, every state has its own set of credit freeze laws. Generally, credit freezing takes into consideration persons who have been victims of identity theft previously. Learn more about Temporary Fraud Alert and how it can affect you and your family. Get valuable information and resources about Temporary Fraud Alert now. This is encouraging news. At least now we know that there are several ways you can get the credit agencies to help you safeguard your credit – you can ask for a temporary fraud alert or getting a credit/security freeze. I agree, these might be really inconvenient if you know you’re going to be opening a line of credit for a utility or some other use, but it’s really worth if it you’re suspecting some abusive person is in the middle of hacking into your account. The beauty of a freeze is that you don’t have to worry about anyone applying for anything in your name. It’s impossible. You usually know when you are going to apply for credit, so a week before you do, just contact the bureaus and let them know to unfreeze them. Once you are done with applying for whatever you needed your credit for, you can just tell them to freeze your account again. The only downside is that you have to pay every time you freeze, so it can get costly if you constantly apply for stuff.